"He's facing the ultimate challenge. And fighting for his life." In this drama, about-to-retire boxer Rocky Balboa has second thoughts about ending his career when his friend is killed in a match with a Soviet boxing champion. 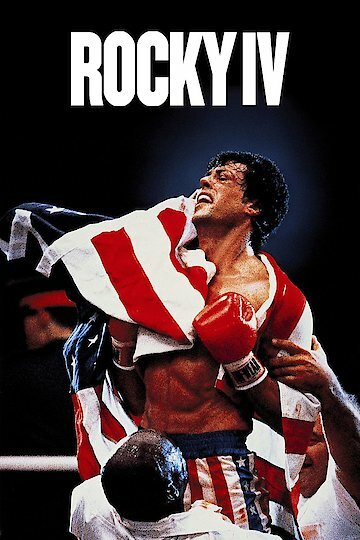 It's up to Rocky to win one, both for Apollo and for America at the height of the Cold War. Rocky IV is currently available to watch and stream, download, buy on demand at Amazon Prime, Amazon, Vudu, Google Play, FandangoNow, iTunes, YouTube VOD online. What happened when videographer Jeremiah Warren strapped a tiny, $120 dollar wide-angle HD camera to a boatload of fireworks and hit record? Patriotism, my friends. Sheer, unadulterated patriotism. In today's Yidio Video of the Day, we take a few very brief, very fast and explosive rides on the back of an assortment of fireworks. If you're looking to get your America on, this is the YouTube equivalent of mainlining the scene from "Rocky IV" where Rocky takes down Ivan Drago. Watch "Camera on a Firework" here.